Were you injured in a bar or restaurant because of overzealous security? We’ll get you the compensation you deserve. 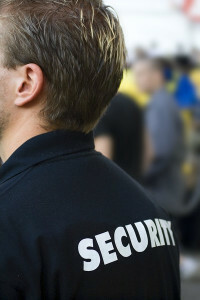 An Atlanta bar or nightclub can be held liable for any overzealous conduct of its bouncers or other security personnel. Georgia law says that any business is responsible for the conduct and actions of its employees during the course and scope of their employment. Overzealous security personnel can in certain situations be just as dangerous as inadequate security. Bouncers do not have any special authority to exert unnecessary force on a patron. They are simply employees of the bar or nightclub and should behave in a professional manner, even when they find it necessary to eject someone from the nightclub. If you have been suffered injuries at the hands of overzealous bouncers or security personnel at an Atlanta bar or nightclub and would like to speak with an attorney, contact us at your earliest convenience. Our Atlanta attorneys here at the Bennett Law Group have been very successful in obtaining outstanding results for our previous clients in handling such cases. Here are some of our testimonials from previous satisfied clients. While it is true that bar employees such as security and bouncers do have to be firm with patrons who may become too rowdy after having too much to drink, they must handle the situation properly and not resort to unnecessary violence. Though it is true that bar and nightclub owners must be prepared to deal with any altercations that arise involving their customers, it’s also important that bouncers and other security react appropriately and professionally and not demonstrate undue violence. Should the bouncer use excessive force, this can actually escalate a fight. In addition, many times the victims in these fights are simply innocent bystanders who could not get out of the way in time. Large crowds of people and large amounts of alcohol being consumed by many are a dangerous combination. Use extreme care when you are in such a situation. Try to steer clear of individuals who seem intoxicated or angry. Stay away from anyone you see arguing with another customer. If you have been the victim of an overzealous bouncer or other security personnel and have suffered injuries through no fault of your own, contact the Atlanta offices of the Bennett Law Group. Our attorneys have over 50 years’ experience in representing victims of overzealous security in Atlanta and throughout the state of Georgia. We will do everything we possibly can to ensure that you receive the maximum compensation for your injuries, medical expenses, pain and suffering, lost wages, and other expenses that arise from the incident. Contact us online or call us at 404-541-9330. We look forward to your call.